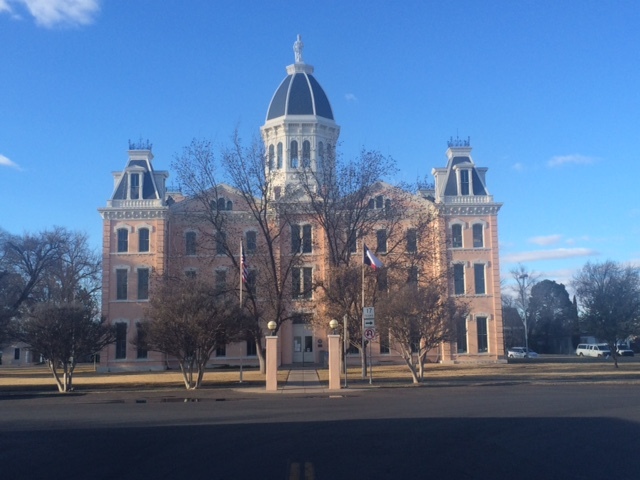 Trip Log – Day 213 – Van Horn, TX to Marfa, TX | How Will We Live Tomorrow? 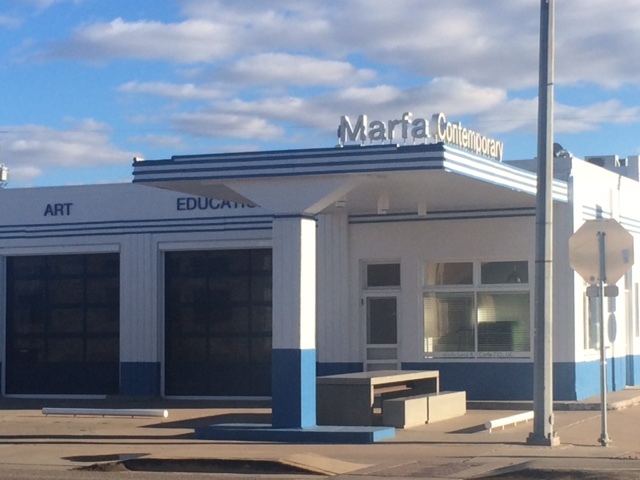 Is Marfa, Texas ironic or prophetic? I will ride along U.S. 90 more than any single route of my journey. 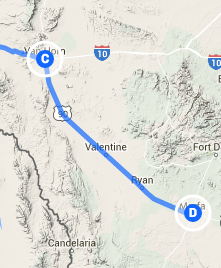 I was pleased that my inaugural morning, heading east from 90’s Van Horn terminus, was clear and calm. 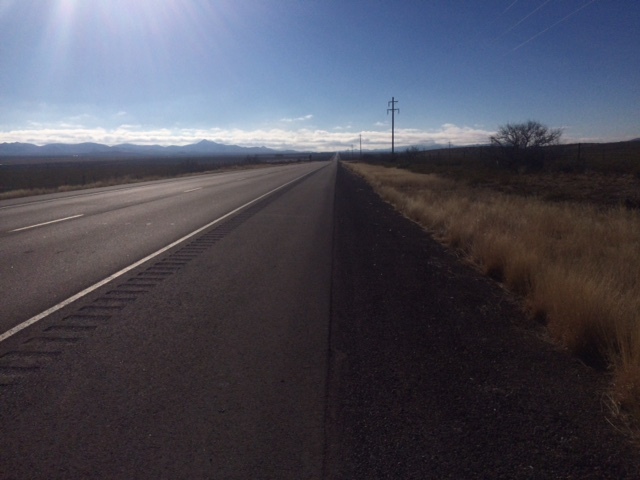 Thirty-eight miles on I pedaled through Valentine. 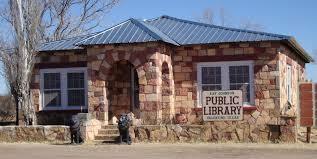 The sign said 217 souls call it home, but aside from the world’s most adorable public library, there was no sign of life in the deteriorating buildings that lined the road. This town is dying. 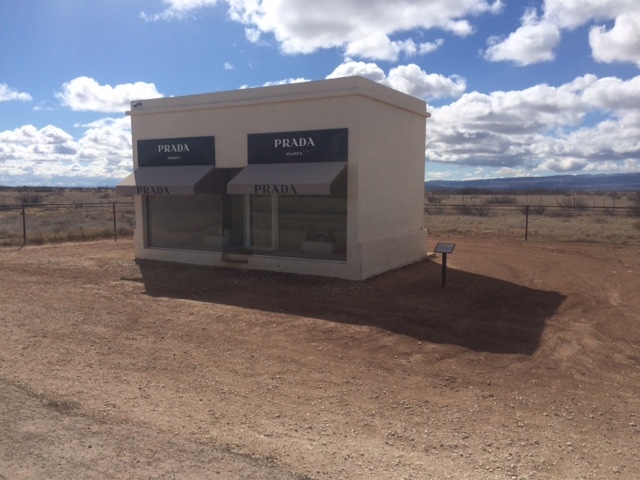 Less than ten miles further on, in the middle of a vast plain, I came upon Prada Marfa; a pristine, non-functional box with an assortment of Prada fashion goods. This art is thriving. Later, a pinkish balloon appeared on the horizon. More art, I thought. Until I got closer. 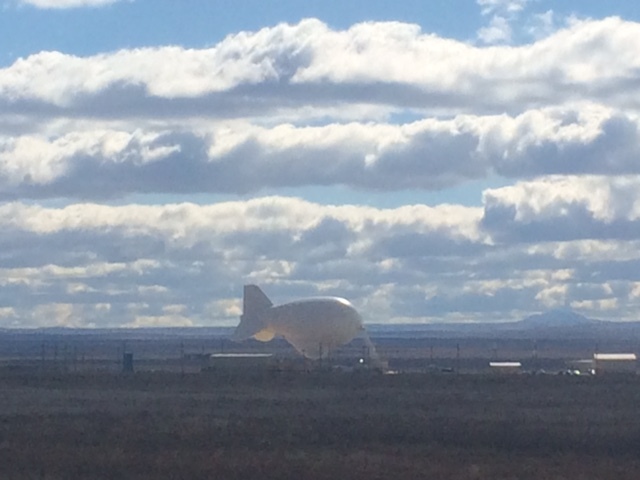 Turns out its Border Patrol’s Tethered Aerostat Radar System. Miles before I reached the world-renowned rural Art Capital, I was already confused about contemporary art, abandoned commerce, and ubiquitous surveillance. Once I reached town, the contrast continued. Slab a coat of turquoise paint, plant a bunch of cacti, and the same motel I paid $39 a night for in Van Horn charges $119 here. 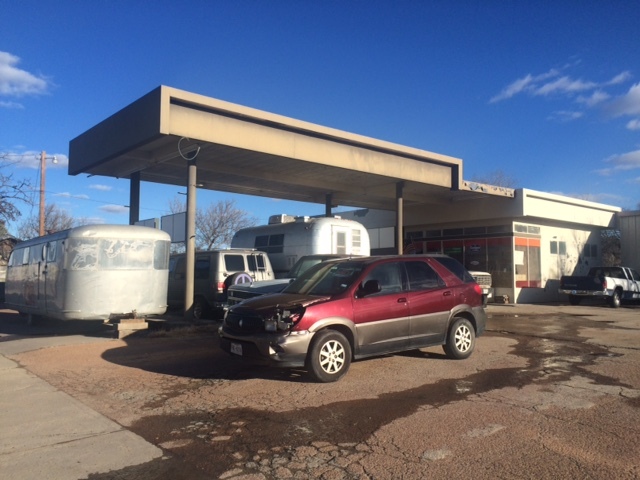 One gas station is full of broken down cars, another has been refurbished into an art moderne statement. 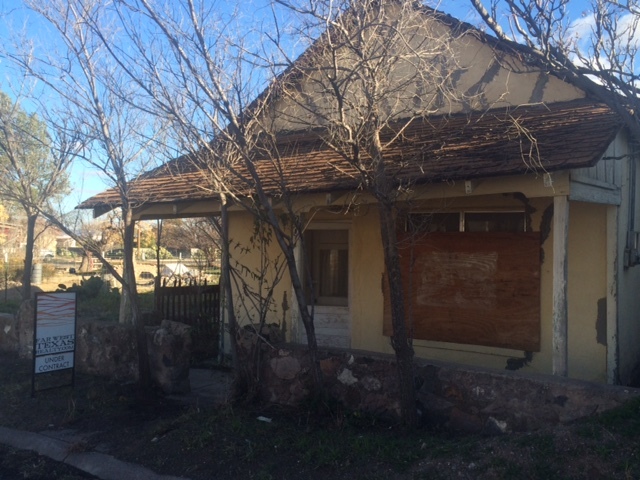 A dilapidated cottage that would be abandoned in most West Texas towns is ‘under contract’ and many have been transformed into sharp angled adobe galleries and second homes for affluent artists. The grocery store was full of heavy-set Mexicans in polyester shifts just like any other town around here. But Highland St, the main thoroughfare leading to the stately courthouse, is lined with boutiques full of merchandise those locals don’t need and can’t afford. 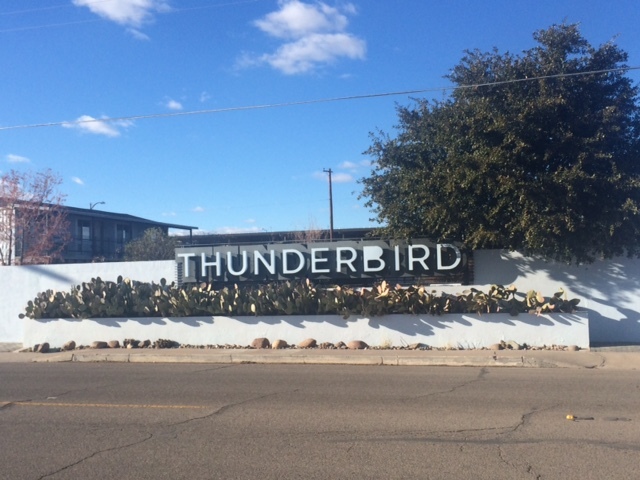 Marfa has a knack for reinvention. The 1883 ranch town boomed in the early twentieth century on the cusp of an oil boom that went bust. The area was used for internment camps during World War II. 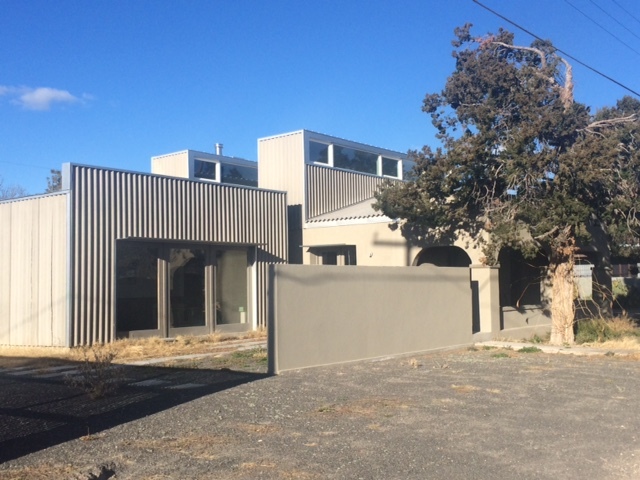 When that base was purchased by artist Donald Judd in the 1980’s, the town’s latest incarnation as a hip art center was born. So the question remains. Is Marfa – a town where wealthy oil tycoons fly in to shake their heads at art they find bizarre – an ironic bit of whimsy? Or, is Marfa a prophetic view of life once machines liberate us from the tedious tasks of daily living and we celebrate our creativity in whatever direction the West Texas winds blow. Either way, it’s great fun and wicked cool. This entry was posted in Bicycle Trip Log and tagged Marfa TX, Prada Marfa, Tethered Aerostat Radar System, US 90, Valentine TX, Van Horn TX. Bookmark the permalink. Your posts are great fun and wicked cool, Paul Fallon!